Sir Harbottle was Master of The Rolls 1660 - 67 (may have been longer), and came from a notable English family in the public eye since the 15th Cent. Harbottle married Mary CROKE  [MRIN: 1085], daughter of Sir George CROKE  and Unknown, on 16 Apr 1629 in St Dunstan in the West LND. 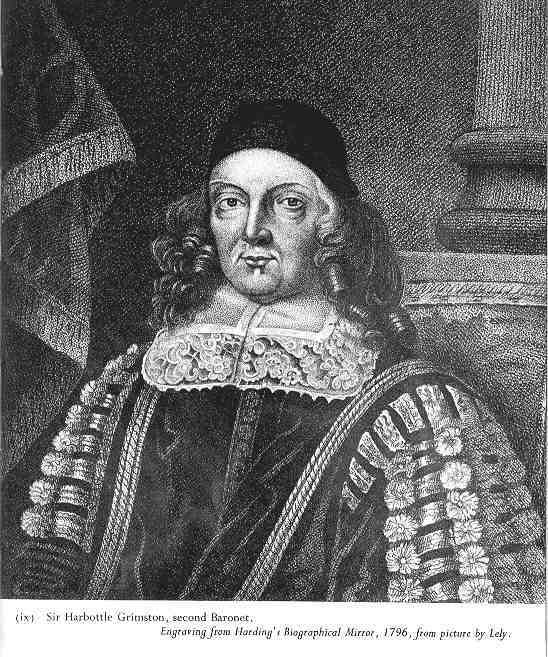 Harbottle next married Anne BACON  [MRIN: 5394], daughter of Sir Nathaniel BACON  and Jane MEAYTYS .